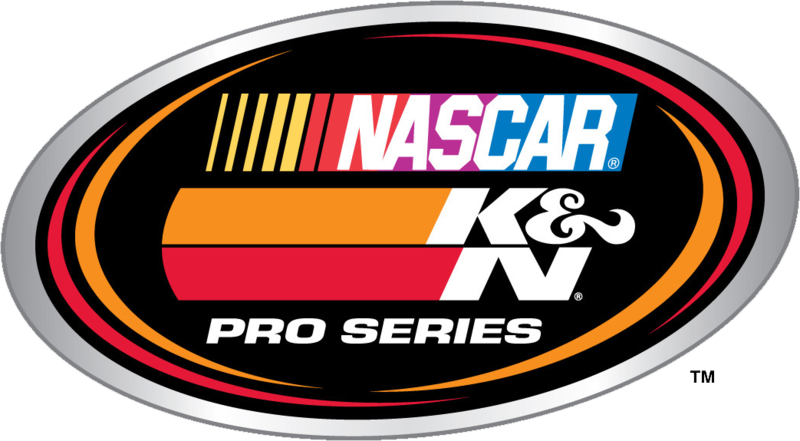 DAYTONA BEACH, Fla. — The NASCAR K&N Pro Series West heads to All American Speedway in Roseville, California, for the Toyota/NAPA Auto Parts 150 presented by TriCo Welding Supply on Saturday, October 14. Below is a look at the race itself and some of the selected participants. • Park City, Utah’s Michael Self returned to Victory Lane for the first time since 2013, winning last time out at Meridian Speedway. • The win was just the second this season by a driver not named Todd Gilliland or Chris Eggleston. • Gilliland, of Sherrills Ford, North Carolina, has six wins this season and owns an 11-point lead atop the NASCAR K&N Pro Series West standings over teammate Eggleston, himself a four-time winner in 2017, with two races remaining. • This is the series 19th visit to All American Speedway. The track hosted five events between 1977 and 1982 when it was a quarter-mile oval and 13 races since 2008, after it was renovated and became a third-mile track. • The 18 series races at All American Speedway have produced 14 different winners. Eric Holmes, with four wins, and Paulie Harraka, with two wins, are the only multiple winners. • Nine of the last 10 races at All American have been won by a driver starting on the front row. Only one driver — Jason Fensler in 2011 — has started worse than eighth and won at the track. Fensler started 15th that year. 1-Lap Qualifying Record: Jason Bowles, 13.589 seconds (88.218 mph), April 2009. 150 Lap Race Record: Eric Holmes, 44 minutes 21 seconds (67.576 mph), April 2009. • Sits second in the overall West standings, 11 points behind leader Todd Gilliland, with four wins, 10 top fives and 12 top 10s in 12 races. • Has nine career K&N West wins with 29 top fives and 34 top 10s in 43 career starts. • Finished second last season at All American, where he has an average finish of 2.5 in two K&N Pro Series West career starts. • Has six wins, nine top fives and 11 top 10s in 12 West races this season to lead the series standings by 11 points over Chris Eggleston. • Won at Oregon’s Douglas County for his series-leading sixth win of the season. • Won the first five pole awards of the season and four straight races — California’s Kern County Raceway Park, California’s Irwindale Event Center (twice) and Spokane (Wash.) Raceway. • Won the pole and finished eighth last season at All American in his only K&N Pro Series West career start at the track. • Sits third in the current West standings with seven top fives and eight top 10s through 12 races. • Leads the Sunoco Rookie of the Year standings by five points over Will Rodgers with two races remaining. • Won his first career pole at Iowa Speedway, and finished fifth in the most recent event at Idaho’s Meridian Speedway. • Made his K&N Pro Series debut with the East at New Smyrna this season and finished third. • Has never competed with the series at All American. • Sits seventh in the overall standings with one top five and seven top 10s in 12 starts this season. • Posted a season-high finish of fifth at Douglas County two races ago and enters the weekend with three straight top 10s. • Finished third last season in her only series career start at All American. • Despite missing the season opener, is fifth in the standings with five top fives and 11 top 10s in 11 starts. • Has seven career K&N West wins, including the most recent event at Meridian, his first win since 2013. • Has one top five in six series career starts at All American. • Ranks a career-high sixth in the overall standings with two top fives and eight top 10s in 12 starts this season. • Finished fourth in the most recent event at Meridian, giving him six top 10s in the last seven races. • Has an average career finish of 11.7, including a fourth in 2008, in three career K&N Pro Series West starts at All American. • Ranks fourth in the West standings with eight top fives and 10 top 10s in 11 races this year. • Finished third in the most recent event at Meridian, giving him three straight top-five finishes and four in the last five races. • Has two career K&N Pro Series East wins at New York’s Watkins Glen International and New Jersey Motorsports Park this season. • Has never competed with the series at All American Speedway. • Michael Self won at Meridian for his first win in the series since 2013.